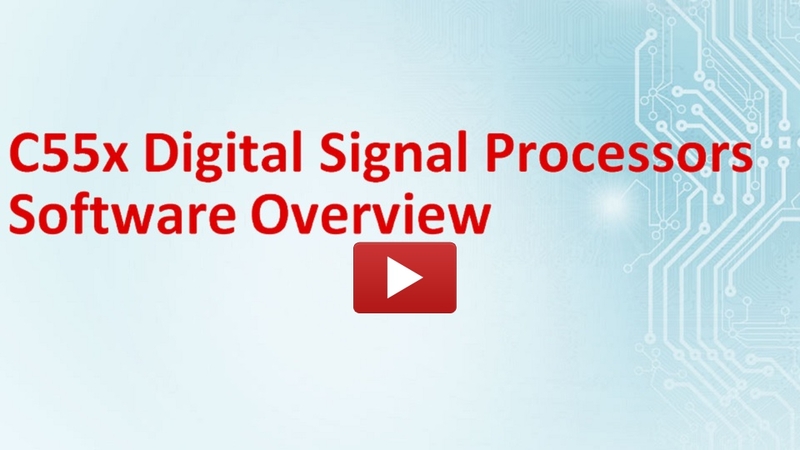 This module provides an overview of the software available to developers building applications on TMS320C55x Digital Signal Processors. The first section introduces the benefits and structure of the C55x Chip Support Library (CSL) and takes a look at an example contained within the package. The second half looks at the benefits and structure of the C55x DSP Library (DSPLIB), as well as the Programmer's Reference Guide and performance benchmarks.